Friday, April 19th from 7-8pm, we will have a Good Friday Service at CCC. Our Easter Choir will perform music written by Lee Younger. Happy to announce the Wednesday Women’s Bible Study for the Winter 2019 Semester set to begin January 16th (9-11 a.m.) with a Thursday evening offering to begin the same week on January 17th (6:30-8 p.m.). 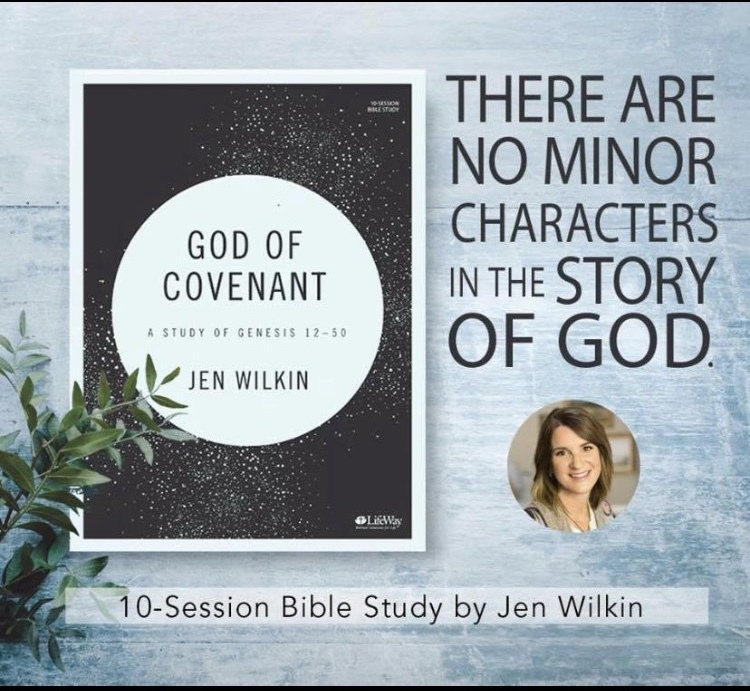 Discover how God orchestrates everything for His glory and the good of His people, and see how the God of Creation and Covenant is the same yesterday, today, and forever. Would love for you to join us ~ contact us at 865-483-0320. PRAYER: On Monday Nights at 6:30pm, come pray with us! Every Monday, we will meet in Potts' Classroom (next to the office) to lift up prayers for our church, town and community. Join us! CHRISTMAS CONCERT: Sunday, December 9th at 6:00pm, we are in for a treat! The Duffield's and the Landau's, along with special guests, will be singing Christmas songs for us, and there will even be a few sing-a-long numbers! We would like to have hors d'oeuvres before the singing - and this is where you come in. Please bring your favorite holiday party food - sweet or savory. We will mingle and eat before we move into the sanctuary for the performance. CHRISTMAS CHOIR 2018: Practices are every Sunday afternoon from 4-5pm, between now and Christmas. Childcare is available during practices for infants-elementary age. Performances will be at the Christmas Eve service, and during the Sunday Worship Service, December 30th. ANGEL TREE (or as we've decided to call it: VICTOR'S TREE): Every year, our church has an angel tree to benefit Victor Nandigam's orphanage in India. The tree has tags to purchase clothing & backpacks for kids, and sari's for widows to wear. This year, we have 44 orphan tags, and 110 widow tags. Please take a tag (or two! ), and place it with the donation in the offering box. If you would like to keep the orphan tag, feel free to do so - just write your child's name on your check so we know which one you took. The tags have a picture and name of each child. PIONEER PLUNGE WEEKEND: Friday, November 16th, all Triple C guys (from elementary age - ???) are invited to an overnight outing in North Carolina. We will be staying in rustic bunk houses with the Blue Ridge Mountains as our backdrop. We will return late Saturday night. Joe Pendley is leading this trip, and he will have more info soon. There is a sign-up in the foyer, so if you think you are interested, add your name and contact info. Cost will be approximately $10/person.